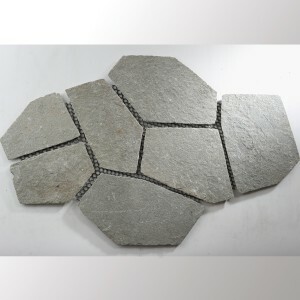 The so-called polygonal plates are fracture plates, which are mostly made of natural stone. Due to the uneven size of the panels, surfaces laid with polygonal panels look very natural and exude a Mediterranean atmosphere. 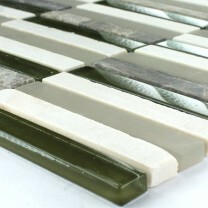 These "broken" tiles, combined with straight walls or frame tiles, create a very special holiday ambience. 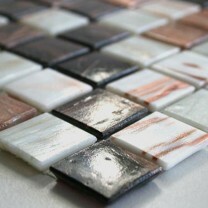 Perhaps the charm of these tiles lies in their imperfect form, which in our world of exact lines is a pleasant change. Especially in natural gardens polygonal slabs emphasize the cozy, wild atmosphere. 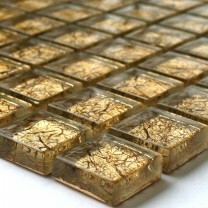 The natural look of the broken tiles can be used to create beautiful paths, terraces or other surfaces. Polygonal panels are not only popular in landscaping and horticulture. Also in the kitchen, bath and Co., polygonal tiles are becoming increasingly popular. Beige or other heat radiating shades are particularly popular here. A floor made of polygonal panels in combination with underfloor heating makes for a cozy home - especially in the cool season. In addition to being used as a floor covering, polygonal tiles can also be an original ornament on facades. However, with their cheap price, polygonal plates often land in the inexperienced hands of optimistic home improvement. When laying the tiles but should be paid attention to almost parallel joints despite their wild look. Although the required accuracy is a bit expensive here, it is ultimately worth it. 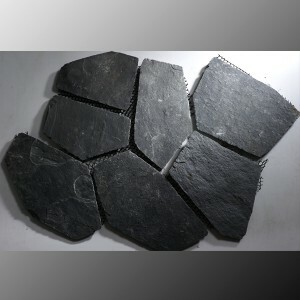 Instead of polygonal slabs with a rough surface, smooth-sawn tiles are suitable for the terrace, flooring and façade. Bruchraue Polygonal plates are usually different in thickness. 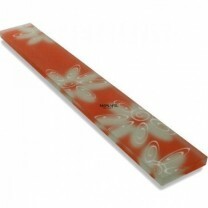 This must be taken into account when buying the tiles and laying, to avoid bumps and waterlogging by inexact laying. For interiors, smooth polygonal panels are better suited, especially if they are often barefoot. Before purchasing, decide whether you prefer a surface with rough or rather smooth sawn or ground tiles. 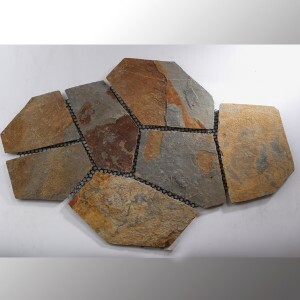 Depending on personal preference, polygonal tiles can be laid with broken edges for a natural-looking charm, or trimmed with a cut-to-size grinder if the floor is to look more modern. Find out about the correct installation of polygonal panels and pay attention to a flat overall surface. Polygonal plates are available in a variety of formats, depending on your needs, despite their different shapes. Due to their dimensions, they are sorted into categories, which makes it easier for you to choose when buying. Obtain sufficient information about the installation itself, as well as the cutting, jointing, sealing and maintenance of the polygonal panels before installation. Pay attention to proper cleaning in order to maintain the appealing appearance of your tiles in the long term. For the installation of polygonal panels, special adhesives, mortars, natural stone mortars and joint mortars are available. 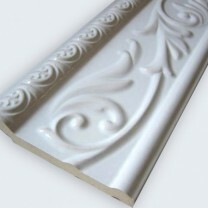 Therefore, use appropriate material from expert hands to ensure the best possible result. Tip: Especially in the garden, heavy, large formats of polygonal tiles can be loosely laid. 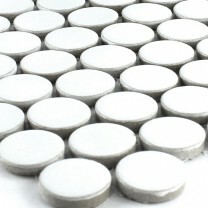 Without mortar, the tiles are arranged in a grit bed. Polygonal panels are mainly used in landscaping gardens, laying terraces and decorating walls both indoors and outdoors. The panels are made from very robust building materials such as slate and quartzite and usually have a 'broken', 'broken' structure, which emphasizes the Mediterranean flair very well. Are you looking for it from your garden or your hallway? of course, then you have made a good choice with our polygonal plates. 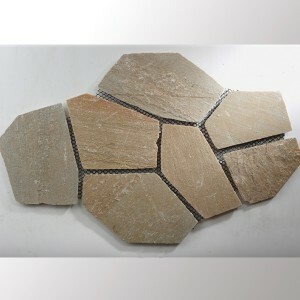 The surface of the natural stone polygonal panels is split-sided on both sides and the edges are break-gray. Choose from different colors from beige, gray to black.